My eyes burn a hole in the page. Once again, Kasie West has captivated me. I read Pivot Point back in January, and went on to push it towards everyone I came into contact with. I've been waiting a good six months for The Distance Between Us to be released, eagerly anticipating West's first contemporary novel, and I can gladly announce that it was well worth the wait! The main character, Caymen, is my number one reason for enjoying this book so much. I was able to connect with and relate to her with incredible ease, which is due to both West's writing and her skill when it comes to character building. Caymen's sense of humour was the major draw for me. In fact, I'm pretty sure she is me in bookish form, since our sense of humour is so similar. No one understands mine, either. I'm pretty sure most of my blog readers think I'm a total weirdo. I loved how strong Caymen was when it came to her mother, who was clearly having a tough time throughout the novel due to financial troubles and such. Financial struggles that I could completely relate to. Caymen was there for her mother a lot, to such an extent that it messed with her own life. It was only after she met Xander that she decided to start branching out and living her own life. Before, it was all about the doll shop. Which brings me onto Xander, who was funny and charming, and a total Logan Echolls. Except not as perfect as Logan because, let's be honest, who is? Xander got a decent amount of development compared to some YA love interests I know. We got to meet his family, we heard about some of his backstory, and he had his own little storyline running alongside Caymen's. But, even though he was a prominent character, he didn't overshadow Caymen in any way. Which is great since, you know, this is a book about her. I got really into Caymen and Xander's relationship, to the extent that I may have hugged my pillow over them a couple of times when they had a falling out or misunderstanding. I shipped them, of course I did. Were you expecting anything else from me? The only flaw I found with this book is that it ended a little too soon, story-wise, for me. I would have liked the book to have continued on for a bit longer, just give me a more specific idea of where the characters were headed. I mean, it was pretty clear and a more casual reader would be thrilled with the way it ended, but I was so invested in Caymen and her mother's lives that I just didn't want to let them go just yet. Basically, Kasie West is a queen and I love her books to pieces. While this isn't quite as fabulous as Pivot Point, it's pretty bloody close. 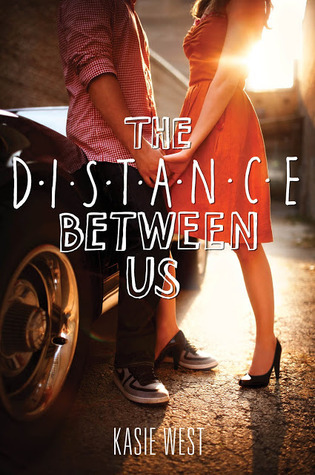 If you're looking for a summer contemporary with a sarcastic and strong main character, a relationship that you can get invested in, and writing full of charm, humour and wit, then The Distance Between Us is for you. Thanks! Hehe, I'm glad she's one of your go-to authors as well. She should be on EVERYONE'S lists. I definitely agree about the ending! I wanted to see the further development of their relationship, or at least have some sort of solid hint about the future. I absolutely loved Xander. He was just so sweet. I found myself wanting to go into the book and shake some sense into Caymen every time she had doubts about him. I got confused with the spelling of the Cayman Islands XD Fixed it now though. Yessss, a solid hint would have been much better than this ending. And more family stuff! So I totally did not just buy this from the Kindle store...Nope. I was able to resist the awesome book feels. Man, I have no self-restraint whatsoever. This sounds so, so good and I think I'll probably have to start it next! 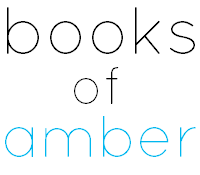 Great review, Amber! I keep hearing good things about this book! I'll definitely have to check it out! I love contemporaries with humor and some snark! I LOVED Pivot Point (thanks to finally picking it up during the debutahon!) I really liked the romance and banter between the characters so I think I'd really enjoy this contemporary for that reason. I'm really going to have to buy this one soon aren't I? Thanks for the review! For Kasie West, I would read anything. I really wanted more too! We never really got to see how Caymen and her mother were going to re-build after all the lies, and how her mother was going to react to having her parents back in her life. I had like the exact same reaction when Caymen and Xander had a falling out. I didn't want anything to ruin them! Whaaaaaaaaat. I'll be waiting for your reaction, then! "I shipped them, of course I did. Were you expecting anything else from me?" I am TOTALLY with you. I wanted more of the story. The ending was definitely too soon. But I have this a lot with YA stand alone contemporaries... :( Sad day. But YAYYYY I'm so glad you liked this so much! And I LOVE your new "You Might Also Like" with the book covers :) So awesome. "My eyes burn a hole in the page." <- Merp. Is this you being super excited about the book and so you lit it on fire with your eyes or not knowing how to sum up your feels in the review? My Kasie West fangirl status is all about her character-building. Both plots could have been improved probably, but I don't even care, because feels and awesomeness. Also, major flaw of West's books? Too short. I want to live with the characters forever. How dare they end! My eyes and my hands were leaving scorch marks from reading so fast, but luckily my copy remains intact. Ahhhh! I loved this book so much. I'm now DYING to read Pivot Point but it's only in hardback at the moment. I want to cry. I need more books by Kasie West in my life.